Be the best. We provide the most advanced, high-quality, and customized care for every patient without compromise. Dr. Roberts has achieved the highest level of orthodontic education from the top dental and orthodontic schools in country, including an 18-month fellowship in Craniofacial Orthodontics – a level of training achieved by only a handful of orthodontists worldwide. We use cutting-edge techniques such as Precision Bracket Placement and “no goop” Digital Impressions that make your appointments quick and comfortable, while ensuring the highest level of technical accuracy. Provide outstanding customer service. We hire only the most experienced, customer-focused team members who strive to establish meaningful relationships with each and every patient throughout treatment and in our office interactions. Have fun! We want you smiling the whole way through treatment, not just at the end! Give back. We greatly appreciate the support our community has given us and we wouldn’t be here without you! We want to contribute our time and energy whenever and wherever we can to return the love and make our community a better place. Dr. Soleil loves being a part of the Woodinville community! A Philadelphia native, she moved to Washington for her orthodontic training and is now happy to call the Pacific Northwest her home. You could say that dentistry is almost genetic for Dr. Soleil – both of her parents are orthodontists in Philadelphia and New Jersey; her sister, Asya, is a dental hygienist in New York City; and her husband, Michael, is a periodontist in Tacoma and Puyallup, WA. Dr. Soleil was inspired to become an orthodontist from a very young age and has followed her dream ever since. Dr. Soleil achieved the highest possible level of training – including 4 years of dental school, 2.5 years of Orthodontic residency, and an 18-month fellowship in Craniofacial Orthodontics – before entering private practice. 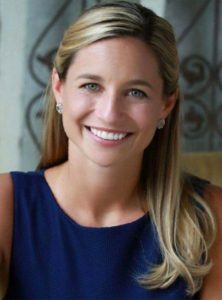 She currently teaches a cleft lip/palate and pediatric sleep apnea clinic in the Graduate Orthodontic Department at the University of Washington and is affiliated with the Puget Sound Cleft Team. Her research and lecturing focus on orthodontic interventions for pediatric sleep apnea and advancements in cleft and craniofacial care. For fun, she enjoys traveling to see family and spending time on the water, wakeboarding, and kiteboarding! Dr. Roberts is a three-time graduate of the University of Pennsylvania. He earned his bachelor’s degree in 1972, his DMD degree in 1976, and a Certificate in Orthodontics in 1978. 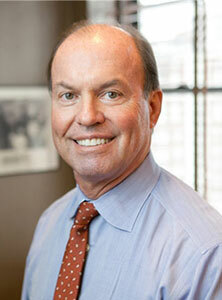 Dr. Roberts became board certified in 1993 and is a Diplomate of the American Board of Orthodontics. For eight years, Dr. Roberts was an Associate Professor in the Department of Graduate Orthodontics at Temple University’s Maurice H. Kornberg School of Dentistry, where he taught and mentored dozens of dentists in their pursuit of careers as orthodontists. Dr. Roberts has authored and published articles in orthodontic literature and lectured internationally for over 30 years. He is a former President of the Mercer Dental Society, where he was the Program Chairman for a decade and continues to serve as their website editor.